A consistent top producer throughout his career in real estate, Richard Newton has sold and marketed a broad range of property types, from resale to new development. 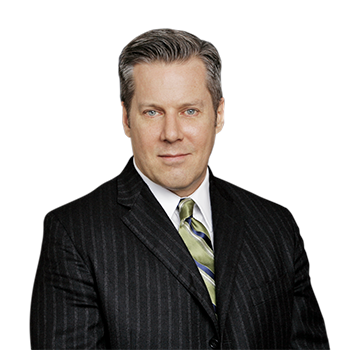 He is as knowledgeable of the Washington, DC, markets as he is attentive to his clients� needs. Richard is sought after by individual buyers and sellers as well as developers who rely on his expertise to navigate their transactions with confidence and success. The foundation of what makes him so effective is his dedication to quality service, a no-pressure approach, and the total honesty with which he always conducts business. His willingness to help his clients is reflected in the deals he makes, where everyone walks away happy. Richard continually enjoys repeat and referral business from his satisfied clients. We have had the pleasure of working with Richard twice during our time in DC. Richard first helped us find our dream home when we first moved to DC. As a buyers agent, Richard took the time to understand what a perfect home would be for us, educated us on the DC market, and worked tirelessly to help purchase a true converted loft... a rare find in DC. Many years later, when it was time to sell our loft, there was no other agent we could have imagined working with. Richard helped us find the right buyer, and he and his team took care of every detail through the listing, negotiation and contracting process. Richard is a top-notch DC real estate professional, and I highly recommend him to anyone looking for an agent in the DC area. From the start I had complete confidence in Richard's expertise. His judgement, guidance and advice were always right on the mark. Richard kept everything moving and kept me informed every step of the way. His personable and polished manner made the process a truly comfortable experience. I felt extremely fortunate to have him handle the staging, marketing and sale of my condo. Richard was the ideal partner to help navigate the complexities of the DC housing market. He is patient, knowledgeable, timely, extremely well-connected and above all, a nice guy. I would recommend Richard wholeheartedly and am grateful for his guidance. Working with Richard was an absolute pleasure. From our first contact he was responsive and showed that he had a solid understanding of the market. He was also able to make good suggestions about the best way to market and stage our property. His efforts led to a fast sale of the property. I would highly recommend him. I am pleased to offer my wholehearted endorsement of Richard Newton and his unique skills in the real estate sector. As a former neighbor and recent client, I believe that I can vouch for his personal integrity as well as his professionalism. I have been in and out of the D.C. real estate market over the last ten years as I was in no real rush to sell my last home. That gave me the opportunity to meet a lot of other realtors in the process. My observation is that Richard has a better feel for the market than any of the others that I met. He knows not only the buildings but the people behind the buildings. In the specific case of the home that I bought several months ago, Richard called me and said, "I don't know if you're ready to sell your place, but I am at a place I think is tailor-made for you." When I arrived at the place 10 minutes later, I knew almost immediately Richard had nailed it. In short, Richard knows this area extremely well and he is on 24-7, especially when it's crunch time of closing a deal. I feel very comfortable in recommending him to my friends because I know that he brings this work ethic to each of his clients. His continued success is well-deserved. Richard is as professional as they get! He not only sold our condo in Dupont in record time with multiple offers, he also made the entire process as seamless as possible. Every question was answered and every concern was addressed. I would strongly recommend working with him without any reservations. If one had to come up with a list of qualities a really great realtor should possess, all you'd have to do is meet Richard Newton. He has them all � in spades! In particular, his integrity, honesty and willingness to help in any way really shined through during our time working together, and I give him the highest praise and my sincere thanks and respect. My husband and I have read some of the testimonials to Richard Newton's abilities, and we second them all. Richard is courteous, prompt, honest, professional, positive-thinking, and funny—he's the man you want by your side, whether you're selling or buying. He wastes no time, guiding everyone to "yes" quickly. Always available and always helpful, Richard has earned our repeat business! We would like to compliment Mr Richard Newton on his recent successful listing, marketing and closing on our condominium at The Columbia, located at 2425 L Street Washington DC 20037. Richard was the consummate professional along each step of this process - most importantly with timely, almost instant response to any questions and needed clarification of issues encountered. We recommend that when WFP receives an inquiry about your services that you assign Richard to handle the case as we are certain he will represent WFP and the client at the highest level of professionalism and results. After making the decision to downsize from our home of 24 years in the Virginia suburbs and move to DC, we were so lucky to have found Richard Newton to represent us on the purchase of our new Condo in the West End. Richard helped us negotiate the way on every step of our transition. He always made us feel at ease with any questions for any situation that arose. Also, he was a wealth of knowledge before, during, and after our move. He did not abandon us once settlement was complete, like some agents will do. Richard genuinely wanted to help us in anyway he could to adjust to our exciting new city life. We love our new place and are so thankful Richard help us get it! He is the professional I recommend for anyone looking to make DC their new home. Richard has represented me in two transactions@mdash;and will represent me again. He is the consummate DC real estate professional, bringing a wealth of knowledge and experience to every listing and sale. Richard has a comprehensive knowledge of the DC market, trends over the past decade, and an unusual sensitivity to pricing. Whether listing or bidding on a property, Richard's broad base of experience gives me complete confidence that my listing or offering price will be competitive. In a marketplace that requires quick and decisive action, Richard's calm demeanor and professional presence bring buyers and sellers together to get the deal closed, even under the most stressful circumstances. Buying an apartment with Richard was an adventure. He was polite, patient, knowledgeable and professional and picked up immediately on the features that were most important to us. He never took us to a listing that didn�t fit our �must-have� list. We were never rushed or pressured and, from time to time, even backed off our search for several weeks. Then Richard would send an email alerting us to a new listing that fit our requirements. In all, we spent over a year (off and on) looking for an apartment. It was difficult to leave our house of 52 years, but the right time had come to do it, and Richard made it happen as painlessly as possible. We liked Richard so much that we also asked him to handle the sale of our house. He advised us from start to finish - from preparing it for listing through the final sale, which happened very quickly. The purchase of an apartment and sale of a much-loved house can be very stressful or, as in our experience with Richard, a fluid, well-managed trajectory. We are pleased to recommend Richard as a cooperative, considerate and extremely helpful realtor. Richard helped me purchase my condo at a premiere concierge building in DC (City Center) as I relocated from New York City. First of all, Richard provided excellent, professional, white-glove, door-to-door service throughout the entire process. He was very responsive in all forms of communication, and I felt like I was his only client at every interaction. Secondly, Richard used his comprehensive knowledge of the market and extensive network of professionals to respond to my numerous, and sometimes bizarre inquiries for additional data and research as I conducted my own analysis and due diligence in order to satisfy my overly anxious personality. Finally, Richard has earned my complete trust not only in his expertise but also in him having my best interest at heart. I give Richard my highest recommendation to anyone who is looking for five-star service from a experienced real estate professional. Richard found the perfect house for me - despite a very specific list of criteria. His humor, patience, and wonderful advice made the experience a pleasure. I was particularly impressed with his determination to find the "right fit," not just close a deal. Richard went above and beyond - even after closing. I would recommend Richard without reservation to anyone looking to purchase. Richard did a fantastic job selling our family home in Chevy Chase, Maryland. He went to incredible lengths to market our property. His efforts and enthusiasm never waned over the time it took to sell the property. He was always available whenever we needed him or had a request or question. Richard is a joy to work with � dedicated, knowledgeable and attentive � the consummate professional. Richard was great to work with, he learned our style and helped us find a great place in Georgetown. I would work with him again in a heartbeat. Richard did an excellent job representing us in our new condo purchase. He was professional and experienced, particularly with the nuances of buying new construction, having worked with developers in the past and was an overall pleasure to work with. Richard understood what kind of buyer would be attracted to my home. He helped me seamlessly throughout the process and was a very considerate and friendly person to deal with. He's a true professional. He was also able to achieve the highest price ever in my building (Potomac Plaza). Richard did an outstanding job in finding us a great apartment in the West End. Within 15 minutes of meeting us, he understood what we needed and helped us zero in on the best choices. He is very knowledgeable, was incredibly respectful of our time, and was a pleasure to work with. He's a terrific guy, and made the whole experience fun and easy. Our experience selling our condo in Dupont was extremely positive. We had tried to sell it once before a couple of years ago with little luck, and I genuinely feel Richard made all the difference in this going well this time. Not that it was without drama; we had two accepted offers fall through due to issues on the buyer's side. But through it all, Richard was great to work with. He took a white-glove approach to getting the unit ready to sell, making it very easy for two busy parents who live elsewhere. He communicates at the right frequency so you know things are moving but are not inundated. And he's very positive and gave us confidence throughout that things would work out — and they did. I highly recommend him. Had a fantastic experience with Richard Newton of WFP. Very professional and both he and his business partner and assistant were fantastic. Richard did it all ... showing us to numerous places, understanding what we wanted (and did not want — this is a problem with many agents, I believe, who show you what THEY want, not where you want to live). He even helped with the baby so that we could focus! Thanks to Richard — great job and would definitely recommend you! Richard Newton found a spectacular condo for me three years ago. I outgrew the place and talked to Richard five months ago about possibly selling. He gave great advice, staged it, sold it, and we had multiple offers in one week. By following Richard's advice, the entire transaction was seamless, and I was delighted by the experience and the return on my investment. I highly recommend Richard. His deep knowledge of the Washington, DC, real estate market adds additional value to any real estate transaction. I listed my condo with Richard Newton and it sold in 3 days! Washington Fine Properties is THE real estate firm in DC. Very attentive service and strong marketing. They have better connections and resources than anyone in town ... Richard is the consummate pro and was there to help every step of the way! I highly recommend Richard and Washington Fine Properties. Richard did a great job in helping us sell our condo in DC at a very good price and in a short time period. His advice regarding staging and other steps to prepare it for showing were spot-on. He coordinated everything very quickly and had it on the market within a few weeks. He also had a great network to begin identifying potential buyers immediately. Richard's deep subject matter knowledge, attention to detail and tireless work ethic made all the difference in our successful real estate transaction. Our situation was unique and challenging, yet Richard paved the way to a seamless and timely closing. Basically Richard "rocks." Richard is a tireless professional who puts his clients first and achieves outstanding results every time. I have purchased two buildings with his help, and we are working together on an ongoing basis to identify opportunities. I recommend Richard without reservation. High integrity and tenacious advocacy are his calling cards. Having been in the Real Estate business for over 20 years, I have met and dealt with just about anyone and everyone in the industry with exposure to all types of Realtors. Simply put, Richard Newton is the best. As a broker having the ability to handle my own transactions, my partner and I choose to use Richard as our personal realtor for his knowledge, expertise, customer service, and he's just a great guy! The perfect combination of smart and pleasant, Richard is the industry platinum standard. The Black Card if you will! Richard is a delight to work with. His knowledge of the market, negotiating savvy, and hard work were instrumental in selling my property for a great price in a short time. Not often do I sit back with the confidence that someone is going to get the job done right, but with Richard I never had any worries. I highly recommend him. Richard is a true professional. He was always organized and patient working through the process and for his clients� needs. Richard always kept a pleasant attitude as well. I look forward to working with him again in the future, and anyone looking to hire an agent would be lucky to have Richard. Trust me. Trust him. You will not regret it, especially at closing. As a first-time homebuyer, with little patience for actually understanding the financial process, I couldn�t have had a better partner or guide through a complicated, frustrating, frightening and exciting undertaking. I have referred at least four friends to Richard. Not something I would do lightly. You will be well served by Richard Newton. Richard is an excellent realtor who knows the Washington area real estate market. We were very pleased with his ability to position our property for sale both in terms of staging our house and the marketing media he developed to expose the house to a set of high-end clients. We achieved a sale in a relatively short time in a down market. Richard helped me purchase my condo last year. He is very knowledgeable about the DC real estate market, extremely personable, and went out of his way to make sure I had everything I needed. He really listened to what I was looking for and found me the perfect home within one week! Richard worked with my realtor in New Jersey to sell a condo I had in Lambertville. After I turned down a low-ball offer well below asking and was ready to proceed with renting instead, he represented me while I was out of the country and got the buyer to raise the price significantly, putting me nicely above break even. Thank you, Richard! Richard came through on all fronts when I listed my house with him this summer. Having Richard Newton on my team was the reason my house sold in a week! I highly recommend working with him if you need to sell or buy your next home. Our transition to Washington, DC, was the most pleasant experience with the help of Richard Newton. Not only did he advise us to choose the perfect home and location, but also his keen sense of our needs was appreciated. We thank you for your patience and expertise. Richard Newton worked with us on the purchase of our new place and, because we found him so helpful, on the sale of our previous home. He is honest, sensible, focused, and a very skilled negotiator. Richard sold my house before it even went on the market and got a higher price than I ever expected. He was empathetic while totally businesslike and focused on getting my house sold at the right price for me. The process I was dreading was actually enjoyable. What more can you ask for? I was very fortunate to work with Richard, who negotiated a reasonable buying price for me, helped to arrange my loan, and represented me at the closing while I was out of town. He's a great guy and a great realtor! We recently moved to DC from out of the area and discovered that the housing market was very tight, especially in Georgetown, where we chose to live. We found Richard to be honest, creative and determined to find a house that surpassed our expectations. Richard was very pleasant and easy to work with; he made our search very enjoyable and was there for us every step of the way. We think that Richard is a great asset to Washington Fine Properties and we highly recommend him. I would recommend Richard Newton as an agent for any real estate transaction. Richard listed and sold our condo in Washington, DC. He was consistently courteous, professional and knowledgeable. Bottom line, he was always there for us—which is an important quality when you are engaging in such a significant transaction. My wife and I want to send a short note to let everyone know what a fantastic experience we had with Mr. Richard Newton of Washington Fine Properties as our real estate professional. He actually prepared us and our residence seamlessly and then sold our condominium for us in less than a week. Next, he spent an enormous amount of time finding for us a new place to live, walking us through both processes with excellent advice, detailing and explaining all the required paperwork, obtaining and/or referring us to other professionals to solve any issues, all in a very timely manner with flawless expertise. Moreover, he is a fantastic, compassionate person with a great personality and very professional. We consider ourselves very lucky to have him help us. It would be an understatement to say we were demanding clients. Relocating from McLean, our requirements for a home in Georgetown were, admittedly, unrealistic: East Village, plenty of space, high ceilings, nice garden, rooftop deck and, of course, parking! Richard's patience was saintly, and his relentless research and networking eventually uncovered an absolute jewel with everything we wanted and more. Following his astute strategy, we won the bidding at a fantastic price point. Richard Newton is the consummate pro! Working with Richard was a pleasure. He was diligent, fun to be around, and knowledgeable about the market and neighborhoods that interested us. Richard had excellent instincts in terms of which properties to show us and negotiated a great price for the property we purchased. We would wholeheartedly recommend Richard as a realtor.